Well we officially made it through winter! So now its time to think about all the outdoor parties we are going to throw. 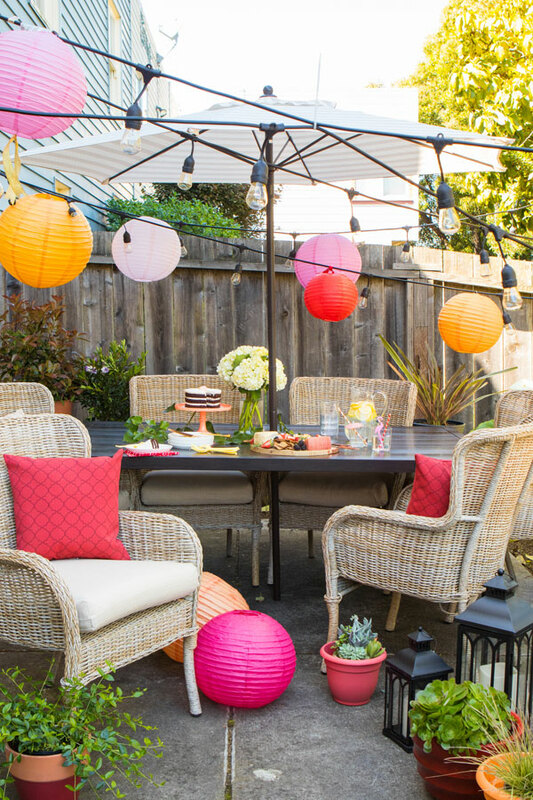 We did a backyard makeover with Home Depot on their site. 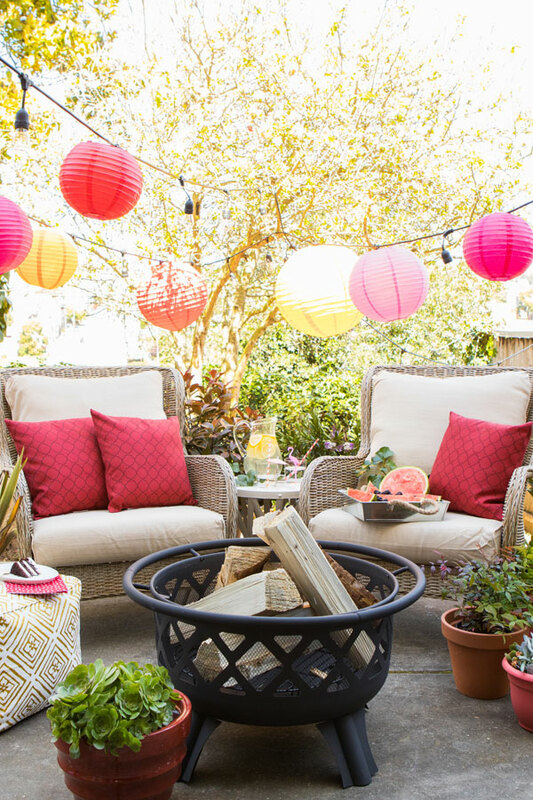 The key to a dreamy backyard setup is: outdoor lights, making it feel like a cozy living room with pillows and furniture, and lots of plants. (Also, cake doesn’t hurt either.) See the whole post right here. 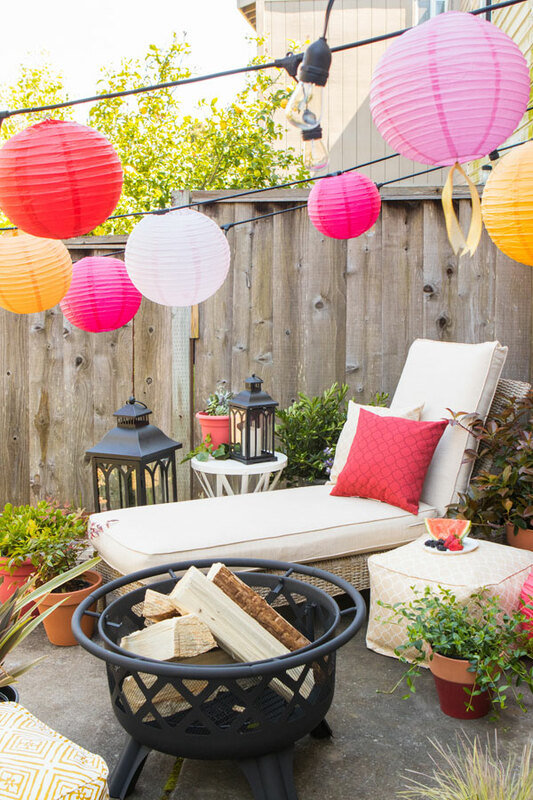 Absolutely love the fire pit, and the colourful lamps! Omg!! This backyard is so cute! I love everything!! Definitely some great inspiration for my own house. Your chairs look sooo comfy! This is so fun and pretty! I totally want to recreate this at my house for the summer! So much fun! It came out great.